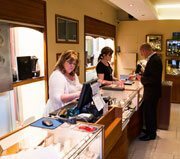 Claddagh Jewellers centrally located in the heart of Galway City. 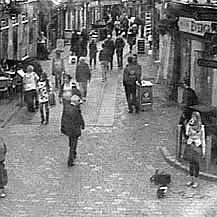 See the hustle and bustle of Galway through our webcams live twenty four hours a day. 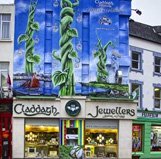 The Legend of the Claddagh Ring is the story of the mystical and beautiful Claddagh Ring. 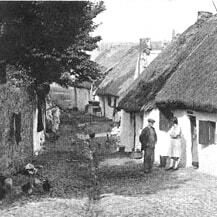 First told over 300 years ago in the ancient fishing village of the Claddagh. Claddagh rings were originally worn in the village of The Claddagh and their traditional purpose at that time was to show marital status. Learn how the Claddagh Ring is worn. 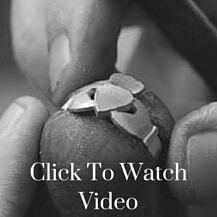 See our jeweller Andrew crafting a one of a kind gold Claddagh Ring from start to finish in our workshop. A true master craftsman at work! Only at Claddagh Jewellers. This nature inspired celtic jewellery collection designed by Jean Butler gives a contempory twist on iconic celtic symbolism. See the Jean Butler collection here. 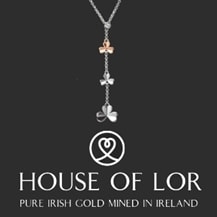 Take home a piece of Ireland with the exquisite House of Lor collection. Made from sterling silver and pure Irish gold mined in Ireland. Shop the collection. 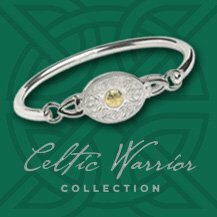 The stunning Celtic Warrior Collection is inspired by the Ardagh Chalice, one of the finest works of Celtic art. The intricate pieces are handcrafted in Ireland. Perfect for him & her. 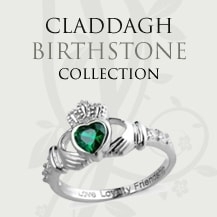 Mark you or a loved ones birthday with a stunning piece from the Claddagh Collection. Made in sterling silver the designs incorporates the iconic Claddagh symbol & a vibrant stone.